Willi Willie is a bar and archery club in Moema. 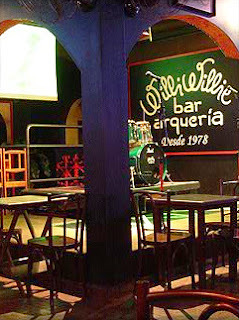 The pub is one of the only bars in São Paulo where you can practice the sport. It opened in 1978. The Willi Willie has a bar on the ground floor, with wooden tables and televisions showing music videos. 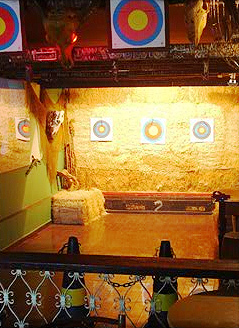 The archery area is separated from the bar by a glass wall, and there are instructors teaching beginners how to play the sport. The first floor has a stage for live performances, and the second floor is a lounge with couches and a terrace. Live bands take turns playing classic rock, pop-rock and blues. The audience is mixed, but it's mostly just a lot of other people who are curious about archery or feel like learning something different on their Saturday night. When: Wednesday to Saturday, from 8h30 pm till 5 am. Sunday, from 7h30 pm till 1 am.